Height in 5'7" - 5'9" 5'9" - 5'11" 5'11" - 6'1" 6'1" - 6'3" 6'1" - 6'3"
You might say that you love your pack, but the massive sweat stain on your back says something different. It's time that you carry your trail essentials in the most logical manner possible - carry them with the Specialized Mountain Liner Shorts with SWAT™. With them, Specialized was able to create a patent-pending design that houses five integrated SWAT™ pockets on the shorts themselves. The pockets sit flush against the body, and they're shaped and structured to ensure that their contents won't ever come bouncing out. Additionally, the pockets vary in size and location, which means that you'll always have a perfectly shaped pocket for your big and small items, alike. 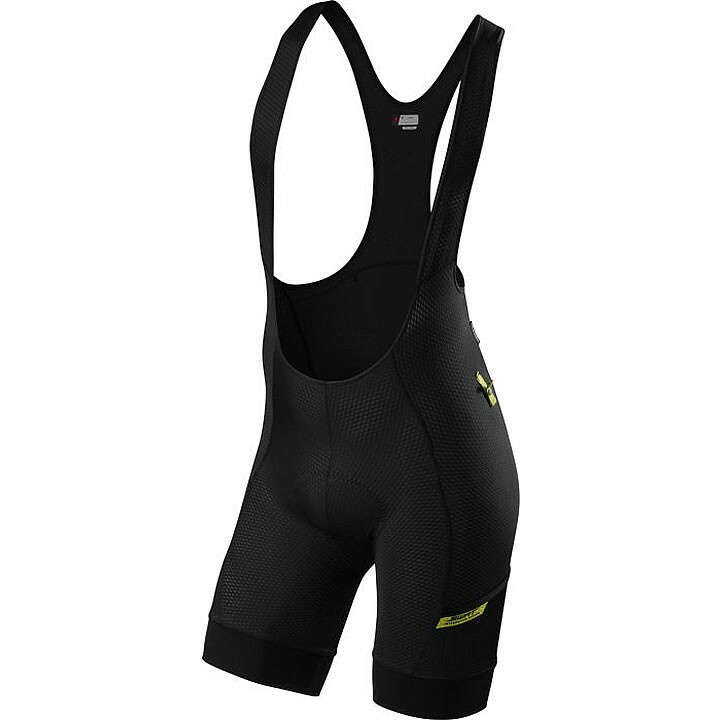 As for the shorts, Specialized designed them to stand on their own, not literally, but in the sense that you'd love wearing them with or without the nifty pockets. To do so, Specialized made them from beyond lightweight VaporRize™ mesh fabrics for the utmost in comfort and breathability, while the 9.5-inch inseam (size Medium) plays nicely with shorts when you're layering. For the chamois, you'll get the fan-favorite Body Geometry Mountain insert that keeps pressure off of soft tissue like nothing else on the market, while also providing enhanced blood flow and plenty of support while in the saddle. Specialized could go even further with medical explanations on why it's so awesome, but what's more important to you is that it's extremely comfortable. These are a bib you seriously need to get your hands on if you're a person that can't stand riding with a pack. Why? Because you have the storage of a pack without the pack! This bib has an incredibly well placed pocket that sits right on your lower back. And the placement in the best part because I can put my phone, keys, first aid bundle, and some nutrition back there and literally can not notice anything on my back while riding. Also after about a year and a half of riding in them, I can safely say the pockets are snug enough to give you the confidence that you won't lose anything either. And trust me... they were crash tested. You need a pair of these in your closet.